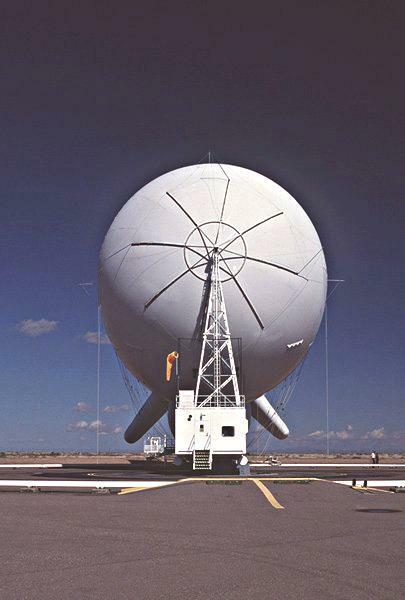 The Tethered Aerostat Radar System is a balloon-borne radar. 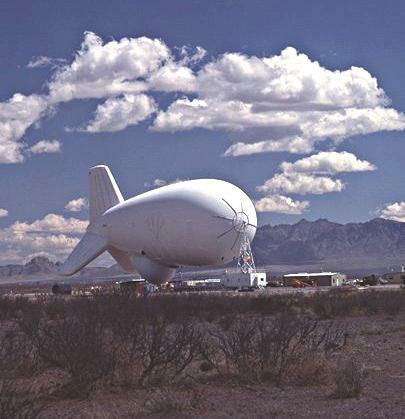 The primary aerostat mission is to provide radar data in support of other federal agencies involved in the nation's drug interdiction program. 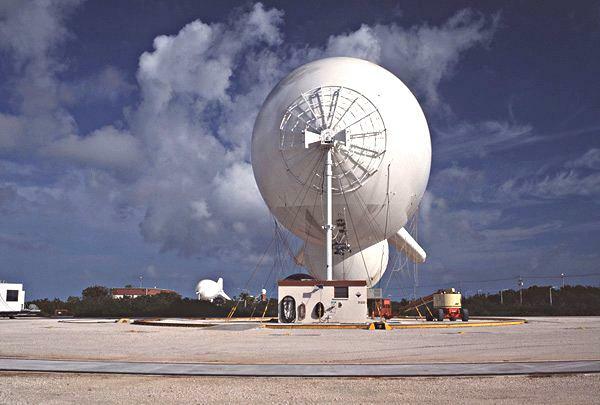 One aerostat, located at Cudjoe Key, Fla., transmits TV Marti, which sends American television signals into Cuba for the U.S. Information Agency. 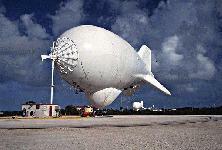 The air drug interdiction program consists of land-based aerostat radar detection ballons along the U.S. southern border and in the Carribbean, and a series of airborne surveillance assets such as P-3 AEW, interceptor aircraft, and apprehension helicopters. The purpose is to seal off the border to illegal drugs coming in by aircraft. The program has been expanded to interdict the narcotic flow before it gets to the U.S. border. The Federal Aviation Administration first advised Customs to begin looking for aerostat sites on the Southwest border and the gulf in 1981. Major General Piotrowski, in hearings before the House in 1983, urged consideration of the use of aerostats in the war on drugs. 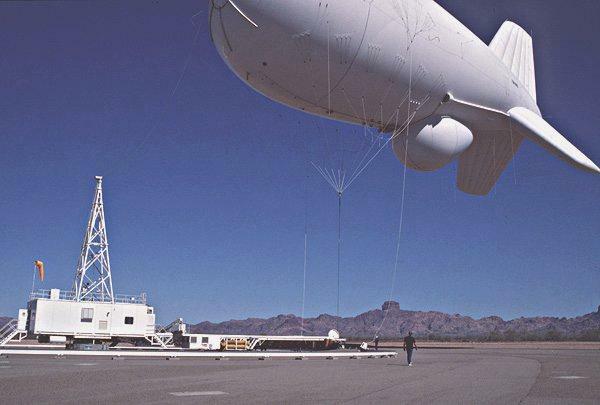 The requirement for the Tethered Aerostat Radar System network was established in 1984 by the U.S. Customs Service to help counter illegal drug trafficking. The first antidrug aerostat went operational in 1985 at High Rock Grand Bahama Island. The second site was built at Fort Huachuca, Ariz., in 1986. Customs began seeking proposal requests from contractors for these balloons in 1987. Overall responsibility for the program fell to Customs and the Coast Guard, until congressional language in 1991 and 1992 transferred management to the Defense Department, with the Air Force as executive agent. Drug traffickers used air transport to enter U.S. territory for years because it was cheap, easy, swift, and convenient. The Coast Guard and Customs Service struggled for years with inadequate resources to control our airways. The military was focused on tracking high altitude, high speed incursions of our borders; that is, they were looking for Soviet bombers. By flying low and slow, the drug traffickers avoided the military detection net. In the mid-1980's the Nation began to take back control of the airways in the United States. The primary focus was at first on the Florida region, the southeast region, and the Caribbean; aerostats--radar looking down attached to ballons, looking down for low-flying aircraft--were put around Florida. Radar aircraft, the smaller P-3's and the giant 3-A AWAC's began patrolling the skies over the Caribbean. Now, there were many holes in this network. It could not and did not field all our borders. It nabbed only a minority of the aircraft carrying drugs into the United States. But the point that was widely missed was that it scared pilots enough to discourage them from flying those routes. The solution for the drug industry was really very easy though. The pilots just began flying further west. Instead of attacking the heavily defended Florida frontier, they flew over Mexican territory and across the land border into the United States. Intelligence sources reported dramatic decreases in the amount of airborne drug traffic since the first Southwest border antidrug balloon went up above Fort Huachuca, AZ, in 1987. In a September 1990 letter, written shortly before funding was secured for the four aerostat balloons in question, Stephen Duncan, DOD's coordinator for drug enforcement policy, called the aerostats the `most cost-effective counternarcotics detection and monitoring asset.' By the time that half the land border, the New Mexico-Arizona-California stretch, was covered by aerostats, few drug aircraft tried to penetrate that half of the border. But aerostat balloons are not perfect. Weather, terrain, and other factors affect the performance of the aerostats. They have proven to be a fair weather friend. They must be brought to ground in high winds. Significant problems have plagued the contractor trying to get the bugs out of the aerostats plan for the Texas border. The radar planes are expensive to operate, but they can plug the holes in the aerostat net, if and when the planes are available. In 1992, aerostats were up only 59 percent of the time, because there were aerostats in Texas that fell down because of improper production. As a result, the contractor for those ballons lost the contract for the option on the next four ballons. All the time those aerostats were down on the ground, being repaired, was counted in that 59 percent. 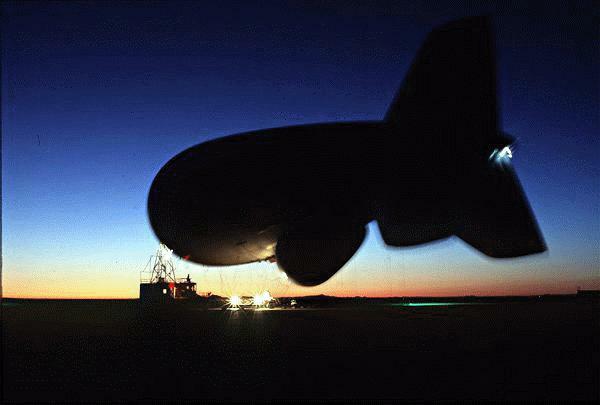 GE built the aerostats which are the ones most often cited as having a large amount of downtime. The GE-built balloons did not stay afloat. The contractor could not deliver a product that would stay airborne. As a result, Customs did not renew the GE contract. The GE contract had also included an option for four additional aerostats, an option which was understandably not picked up by the U.S. Government due to the problems with GE-built balloons. TCOM had lost the contract because they were underbid by GE. [Footnote] 1 Average percent uptime=60%. [Footnote] 2 Average percent uptime=59%. [Footnote] 3 Out of service. [Footnote] Source: U.S. Customs Service. The air interdiction effort does not have to be 100 percent air tight to drive drug planes away from our borders, any more than the Royal Air Force had to knock every last German bomber out of the skies in order to win the Battle of Britain. Only a handful of apprehensions are required before the drug industry shifts. In fact, it is shifting already from the air to the ground. The aerostats, P-3 airborne radar, and the 3-A AWAC's aircraft are all detecting aircraft coming out of Colombia, flying north over Mexico, and then landing on fields and roadways north of Mexico just shy of the American border. From there drugs are sometimes hand carried across the border. More often though, they are placed in vehicles, of all sizes, all descriptions and then dispatched to the dozens of legal crossings, where they vitually are lost among all the vehicles that cross the border. Ironically, many DEA officials believe that the air surveillance effort has actually made the major drug smugglers more efficient. Not overflying U.S. borders has allowed them to use more payload for drugs because they do not need to carry fuel on board, has reduced aircraft losses due to interdiction and exhaustion, and has reduced the loss rate of pilots. The air interdiction effort has had no effect on commercial aircraft or large business jets, and the Department of Defense still believes that the law enforcement community currently assess the noncommercial air and maritime threat to be increasing. The aerostat is a large fabric envelope filled with helium. It can rise up to 15,000 feet while tethered by a single cable, which has a maximum breaking strength of 26,000 pounds. 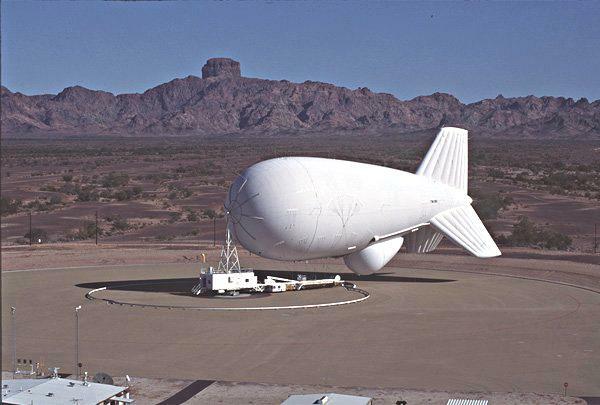 For security and safety reasons, the air space around Air Force aerostats is restricted for a radius of at least two statute miles and an altitude up to 15,000 feet. 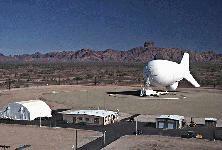 The aerostat network consists of three sizes of aerostats and three varieties of radar. The smallest aerostat is about twice the size of the Goodyear Blimp. The 275,000 cubic foot, aerodynamically shaped balloon measures 175 feet long by 58 feet across the hull, with a tip-to-tip tail span of 81 feet. 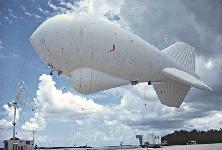 The aerostat system lifts a 1,200 pound payload to operating altitude for low-level radar coverage. The aerostat consists of four major parts or assemblies: the hull, the windscreen and radar platform, the airborne power generator, and the rigging and tether assembly. The hull of the aerostat contains two parts separated by a gas tight fabric partition. The upper chamber is filled with helium and provides the aerostat's lifting capability. The lower chamber of the hull is a pressurized air compartment called a ballonet. A sophisticated subsystem maintains constant pressurization of the ballonet, which maintains the shape of the aerostat's hull at all altitudes. The hull is constructed of a lightweight polyurethane-coated or Tedlar fabric that weighs only eight ounces per yard. The fabric is resistant to environmental degradation, minimizes helium leakage, and provides structural strength to the aerostat. The windscreen compartment contains the radar and is pressurized by the ballonet. In some aerostats, the airborne power generator consists of an airborne engine control unit that drives the generator, and a 100-gallon fuel tank. Other systems use a power tether. All systems are operated by the aerostats telemetry link to start and stop the engine and its generator. Finally, the rigging consists of the flying suspension likes connected to the main tether and mooring suspension lines. 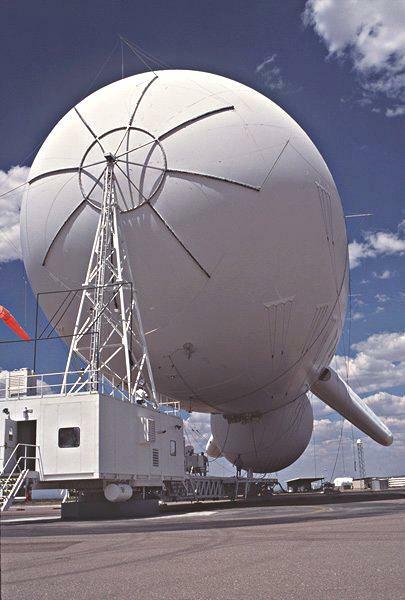 The Tethered Aerostat Radar System carries the AN/DPS-5 S-band CFAR/MTI and AN/TPS-63 search radars. 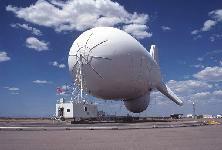 The radar data of aerostats is available to the North American Aerospace Defense Command and the U.S. Customs Service. In addition, this information is available to a blockhouse ground station below, where a flight controller, seated before banks of meters and television screens, monitors the balloon's performance. All radar data is transmitted to the ground station, then digitized and fed to the various control centers for display. Operators launch the aerostat from a large circular launch pad surrounded by a railroad track that carries a locomotive-sized, diesel-powered launch control vehicle. This vehicle contains a large winch with 25,000 feet of tether cable. During the launch sequence, the power winch releases the tether until the aerostat reaches operational altitude. When the aerostat reaches operational altitude, the radar is activated and begins transmitting data. When the aerostat is lowered, it is secured to a mooring. Airborne time is limited on airborne fueled systems by the fuel (one gallon per hour) powering the radar's generator. Although the aerostat program provides low-cost radar coverage, it is dependent on weather conditions. Specific flying weather restrictions are established for each system ensuring safe flight. 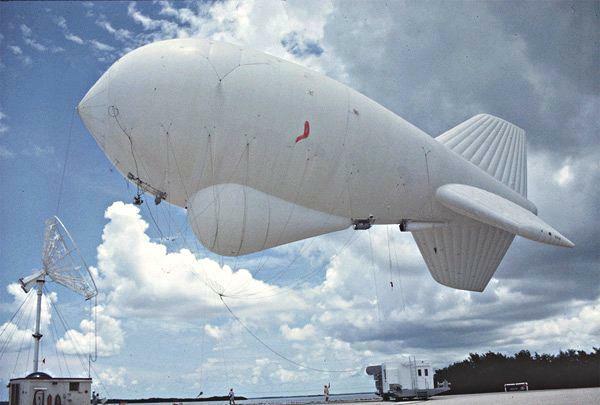 In 1991 the Congress transferred five aerostat vessels to the Department of Army to be used to do drug enforcement surveilliance, primarily in the Gulf of Mexico. Following that transfer those vessels, with instructions to put them to work to assist the Coast Guard in drug interdiction, the Department of Army has parked those vessels, had them parked, and refused to operate them since January 1992. The Army in fact issued an order mothballing three of those vessels, despite the congressional intent and letters from Appropriations Committee members, that those vessels were to be operated, despite a memo from the Commandant that describes choice points where drugs flow into the Gulf of Mexico and to the shores of America are left wide open without the operation of these aerostats, the Department of Army refused to operate them. According to many critics, TV Marti is a failure both technically and substantively. Its signal is jammed by the regime--that is, when the signal reaches Cuba. Every time some outside group looked at the problem of how to overcome a 100-watt jammer with a TV signal from an aerostat balloon, they concluded it was not feasible. Transmission is faulty at best most of the time. The programs are produced each day in Maryland. They are then uplinked--beamed up--from Washington and relayed to an aerostat balloon--a blimp known as `Fat Albert'--which hangs on a tether 10,000 feet above Cudjoe Key. From there it is projected to Havana. However, because of inclement weather, the blimp can only be flown sometimes. Often volatile weather conditions knock Fat Albert off its tethered cable. 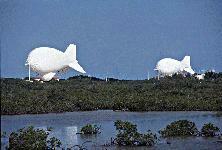 In 1991, the blimp was found in the Florida Everglades, after a $35,000 search, where it laid damaged for months. Air Combat Command Contracting Squadron, Langley AFB, Va., is the contracting activity for TARS. 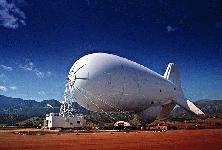 Lockheed Martin Training & Technical Services became the contractor for the Tethered Aerostat Radar System in 1992. It has upgraded the system with next generation 420K aerostats and solid state L-88 radar provided by Lockheed Martin Tactical Defense Systems and Lockheed Martin Government Services. On 29 August 1996 Lockheed Martin Services, Horsharn PA, was awarded a $22,694,989 fixed-price- award-fee contract for services necessary to perform operation, maintenance, and support (OM&S) at 11 Tethered Aerostat Radar System (TARS) sites to include warehouse facilities. Additionally provide OM&S for TV Marti; TARS test, evaluation, and engineering facilities; other specialized support to meet the unique needs of TARS; support and services to those organizations utilizing TARS data, TARS interfaces, and TARS associated equipment and sensors. The contract was expected to be completed in 2001. And on 31 August 1998 Lockheed Martin Aerospace Corp., Bethesda, MD, was awarded a $22,882,449 face value increase to a fixed-price-award-fee-contract to provide for FY 1999 operation, maintenance, and support of the Tethered Aerostat Radar System and for TV Marti. Expected contract completion date was September 30, 1999. In July 2001, it was announced that the Air Force had decided to dismantle three Gulf Coast Tethered Aerostat Radar System radar sites used to monitor drug trafficking. The three locations, part of a network of 11 radar sites, have remained open but are non-operational, either due to reaching their end of service life, or destroyed in a weather-related accident. 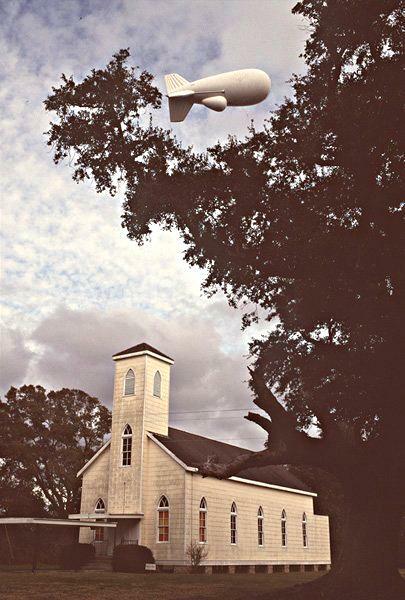 Sites located at Morgan City, La. and Matagorda, Texas are in a cold storage configuration. FY01 DoD Appropriations Act funded Tethered Aerostat Radar System (TARS) operations and maintenance requirements of the three Gulf Coast sites - Matagorda, TX, Morgan City, LA, and Horseshoe Beach, FL. Prior to FY00, OSD Drug Enforcement Policy & Support funded these three sites. The Georgetown and Great Inagua sites have been deactivated, and are no longer in existance -- only the flight pad remains. 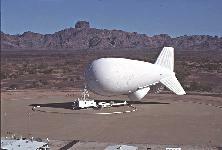 The aerostat at Deming is out of service due to a dust devil passing over the site which caused the aerostat to open and deflate.